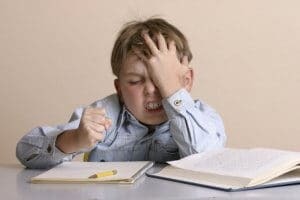 Attention deficit hyperactivity disorder is not an uncommon illness, so it is very important to know the symptoms of this disease. Early detected ailment is amenable to correction. After reading our article, you will learn how to identify the first signs of ADHD in yourself or your child. Sometimes people hear a frightening diagnosis – ADHD. What is the definition of this abbreviation? Attention deficit hyperactivity disorder is a behavioral-neurological developmental disorder, usually diagnosed in children. The disease is dangerous because it prevents the child from concentrating on any activity. Therefore such children have problems with learning and perception of new information. There is evidence that adults with this syndrome have problems with memorizing and decreasing intelligence. Modern medicine, unfortunately, has not yet found the means that allows completely and permanently cure ADHD, but with timely diagnosis, therapy is possible, allowing the child to live the full-fledged life. According to statistics, in 30% of all cases of illness, the child outgrows it, and disease leaves without consequences. Of course, parents should not rely only on this 30 %, especially since there is a checklist of signs thanks to which ADHD can be recognized in a child. According to statistics in the U.S., this disease occurs in 3-5% of children. This is not so much, and not so little to ignore the first possible ADHD symptoms. Attention deficit disorder (ADD) with the predominantly inattentive presentation. ADHD with the predominantly hyperactive-impulsive presentation. Mixed type with the combined presentation. Some doctors also identify additional types that are difficult to categorize. To recognize the type of disease, you need to know the features of its course. They have their own characteristics and are quite different from each other. Usually, symptoms occur in children, but sometimes they can also be in adults, even if they have not had any behavior problems in childhood. All of these characteristics apply not only to children but also to young minors and adults. If ADHD appeared in childhood but was not diagnosed, then in the adult age the symptoms will be smoothed out a bit. This happens because civil society forces a person to control his emotions somehow, and he can be completely adequate and successful in some areas of life. What meaning has a predominantly inattentive presentation? This means that these children cannot do something more than a few minutes in a row. Such kids are inattentive, as they quickly get bored during any occupation. Exceptions are only some hobbies, but, unfortunately, learning rarely becomes a part of their range of interests. A child may be very inattentive, can forget textbooks and exercise books, confuses the timetable of lessons, and does not do homework. He hardly perceives and remembers the information. Such children are quiet and can even imitate diligence. Dealing with their peers, they are much less likely to have problems than children with the impulsive type of ADHD. For this reason, the syndrome can be recognized much later. Children with predominantly hyperactive and impulsive presentation are extremely restless, they grab everything they see, and they are constantly in motion. For them is difficult, and sometimes impossible, to sit for a while at the lessons or even at the dinner table. They are talkative, often acting thoughtlessly and do not know how to control emotions and to restrain impulses. A lot of children are fidgetiness, but with ADHD they cannot be motivated, so they are not affected by the threat of punishment or by the promise of gifts and other benefits. In a state of frustration, such children may show aggression, including physical violence. Often in such situations, conflicts and related problems arise, such as hostility towards society, refusal to communicate with peers, impossibility to make friends, etc. In the case of a mixed type, all signs of the first and second types appear simultaneously. There are cases when the symptoms of first and second type replace each other within a few months. 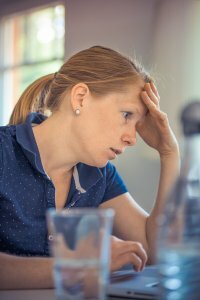 ADHD is equally manifested in both men and women, and the disease has some typical characteristics that can be identified. Unfortunately, on the question: “How to know if I have ADHD?” is quite difficult to answer. A person may have psychological problems, increased anxiety, fatigue, stress, depression, and others, which sometimes seem to be symptoms of the syndrome. However, noticing the first signs of the illness, a person can consult with a specialist. Early diagnosis will help to prevent the development of the disease and improve the patient’s condition. Hyperfocus. A person pays all his attention to something, and the whole world does not exist for him. He can ignore others, not paying attention to anything. Lack of focus. The patient cannot concentrate and hold his attention. It is very difficult for him to listen to someone, read or do something, as he constantly feels distracted, and his thoughts float away somewhere far away. Psychotropic substances abuse. Often, patients have a particular craving for psychotropic substances and have bad habits, such as smoking or alcoholism. However, not all people who have ADHD have such a predisposition. Disorganization. It is difficult for a patient to set priorities, distribute his affairs, and plan something. Therefore, his life seems erratic, muddled and not logical. Excessive impulsiveness. A person often interrupts conversations, abandons the started business, buys thing which he does not need or which cost too much, and generally acts without thinking about the consequences. Problems with communication and relationships. For patients having ADHD, it is difficult to maintain friendship and a romantic relationship, since communication with them has a specific character – they are not attentive, often interrupt partner, are indifferent to the interlocutor, and are extremely forgetful. Ignoring the state of health. The set of troubles, to which the syndrome leads, often plunges a person into frustration, and he becomes indifferent to his health. Binge eating, ignore sports, and sleep disorders – all this leads to poor health. Difficulties with time management. A person cannot plan his affairs and determine how much time is needed for each thing to do. He always does not have enough time, always late, and ignores the things that have bored him. The patient does not think about the past or future, he is only interested in what is happening now. Forgetfulness. Forgetfulness can be common to a lot of people, but in patients with ADHD, it can become frightening. Such people can forget about important events or where they put their things, with what and who they agree. Forgetfulness can destroy the career and personal relationships. Low motivation. Patients quickly lose interest in what they are bored with, and they get bored very quickly. For this reason, their motivation is always low, and this reflects in the quality of their activities. Such features are characteristic of children with ADHD but are often found in adults. Anxiety. The patient throws away the started affairs, but at the same time, he wants to do everything at once. The inability to do this leads to nervousness, anxiety, and the classic external signs of this – uncontrollable foot tapping, constant fidgeting, inability to sit still, etc. Fatigue. Sleep disturbances and hyperactivity lead to the overload of the nervous system, so almost all people with ADHD experience fatigue. They get tired much faster than healthy people. It is important to remember that these common signs of ADHD are only a reason for going to the doctor, but not for self-diagnosis. During the life of all people, some of these signs are observed, although they do not have a syndrome. To determine the disease presence, you need a consultation with a qualified doctor. ADHD is not a deadly disease, and it does not make a person disabled, but can ruin and significantly complicate his life. As a rule, difficulties start to appear at elementary school age, and without qualified help, the child cannot fully study and communicate with peers. It violates the basic functions that further will define the behavior of an adult – the ability to work, learn, build interpersonal relationships, and confront troubles. Adults with ADHD are often acting like stupid because they are forgetful, inconsistent, inattentive and non-punctual. These qualities can destroy any hope of personal relationships, good friendship, and successful work. Fortunately, if doctors identify this disease at an early stage, its symptoms can be reduced significantly. If you have found in your child the first symptoms of ADHD, then you should consult with a doctor. 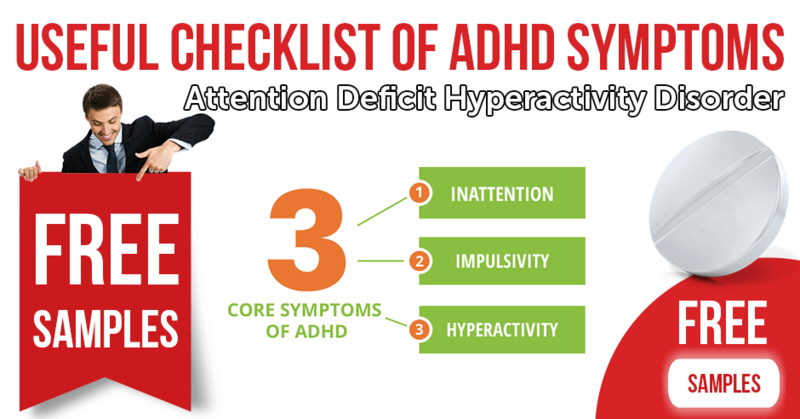 This does not mean that ADHD will necessarily be diagnosed, but some testing will not hurt him. Treatment is usually complex and begins with psychological therapy. To patient is recommended to normalize the lifestyle, to parents is advisable to analyze the home environment, and to do everything possible to reduce the anxiety of the child. Special techniques of psychological self-help have been developed for adults. Any medication is prescribed only in the most severe cases of ADHD. Remember – there are no drugs that would eliminate the disease, but there are those that successfully remove the symptoms. 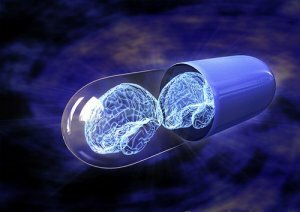 For example, smart pills fight drowsiness and fatigue, and also significantly improve cognitive functions – concentration, attention, memory, etc. These include Nuvigil, Provigil. If you have been prescribed these drugs, then at ModafinilXL pharmacy you can buy high-quality OTC generics and at a very affordable price. Drugstore also offers favorable terms of purchase and convenient delivery all over the U.S.
← Why Is Provigil Not Working?